The 2014 State Fair of Texas offers auto brands a chance to show off their rugged, outdoorsy credentials with a number of concepts and special edition trucks and SUV's. Designed to allow easy transport of outdoor sports equipment, such as mountain bikes and kayaks, using the optional GearOn storage system. Chevy's Toughnology concept drawings were shown. The high-strength steel body truck will be revealed at the 2014 SEMA conference in November. 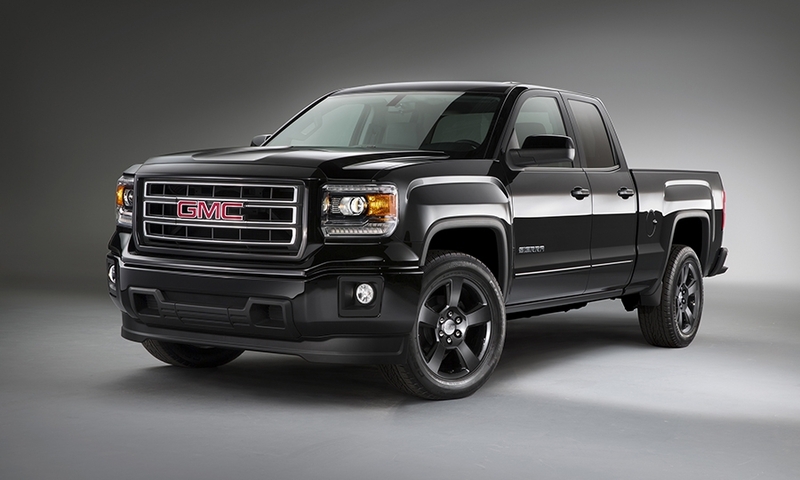 The 2015 GMC Sierra Elevation showcased variations on the color-scheme of the traditional truck. 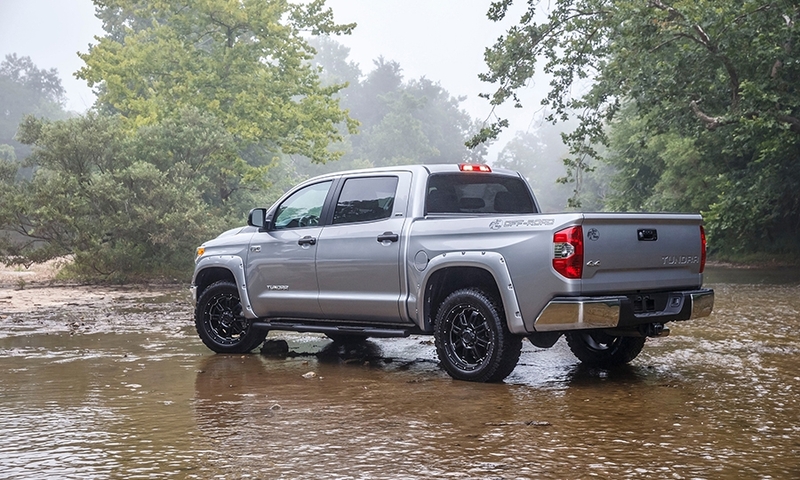 A special edition Tundra developed with outdoor equipment chain Bass Pro Shops. 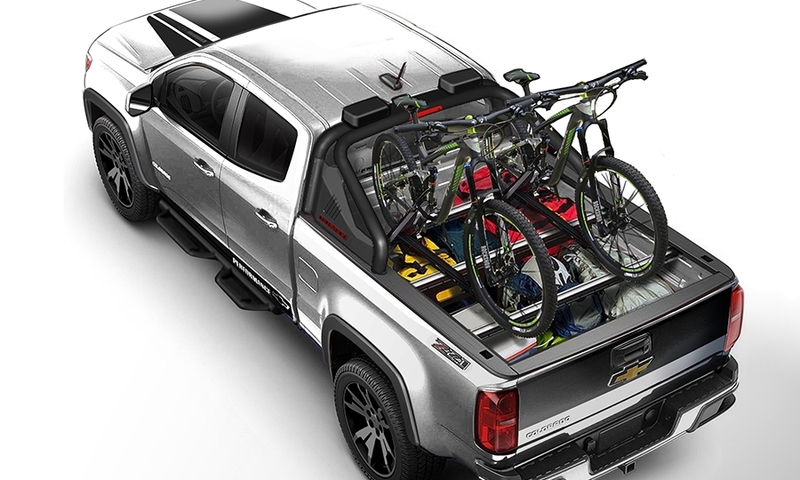 Available only in silver, the truck offers extra cargo space and stronger towing. 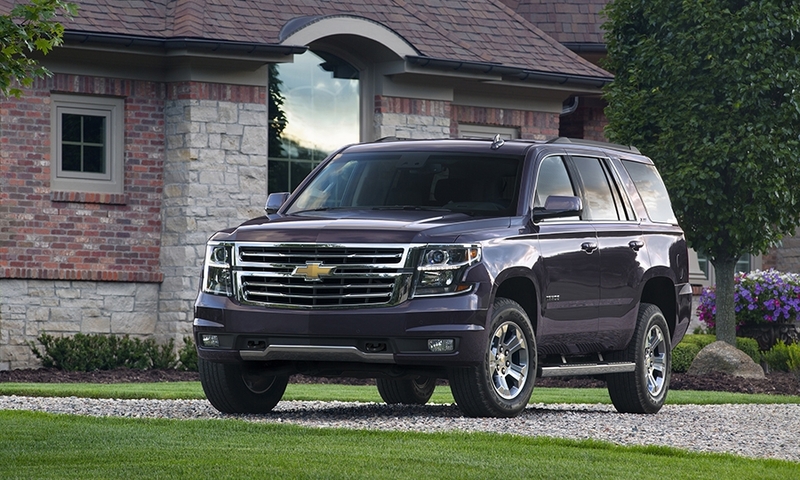 Chevrolet unveiled the Z71 edition of the 2015 Tahoe (shown) and Suburban. 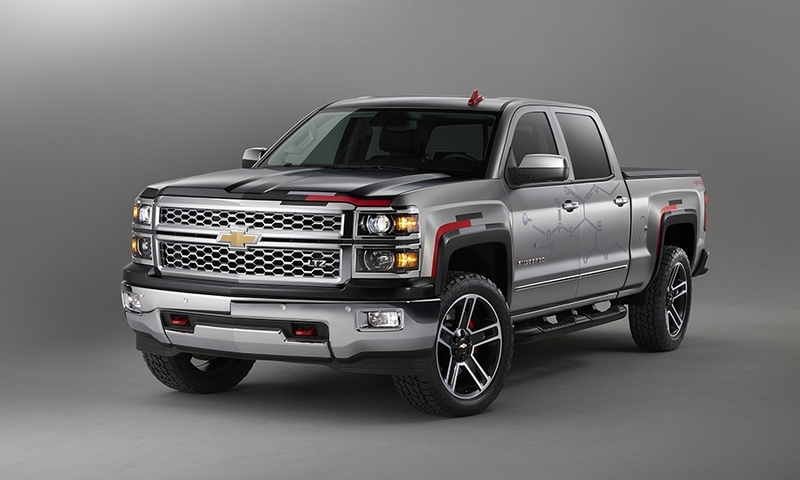 The Z71 offers 18-inch wheels, fog lamps, and tow hooks on the front. Click to our gallery to see a selection of the vehicles from Toyota, Chevrolet and GMC.